Election observers said on Sunday that most of the fraud complaints they received as Colombia elects a president involved vote-buying. In a mid-day report, the Electoral Observation Mission (MOE) said that it had received 114 complaints from 55 municipalities, including the capital Bogota. Of these complaints, 55 were related to paying citizens to vote for a specific candidate, the organization with 3,500 volunteers monitoring the elections said. 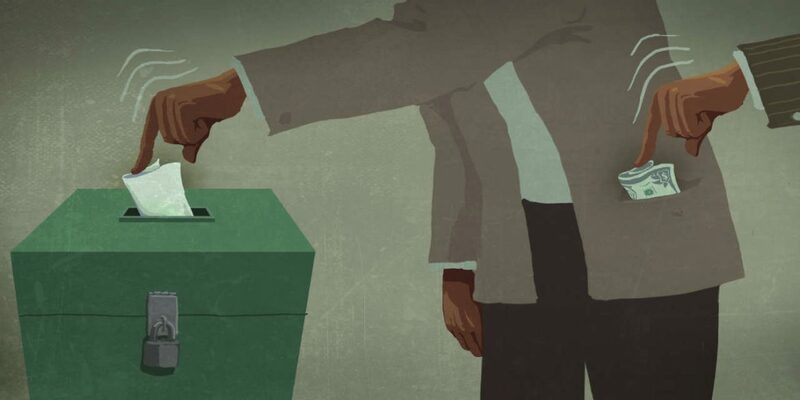 The MOE warned that social media platforms were flooded with disinformation related to the presidential election and the two candidates, Ivan Duque and Gustavo Petro. The Interior Ministry said it had received 255 complaints, primarily from big cities like Bogota, Medellin and Cali. The ministry said that most complaints involved alleged voter restraint. Defense Minister Luis Carlos Villegas said that in the first hours of the elections five people were arrested throughout Colombia. He did not specify for which electoral crimes the suspects were arrested. In Medellin, one electoral juror was arrested with 35 marked ballots. Citizens reported multiple alleged cases of election fraud on social media. Many of these reports, however, are impossible to verify. Villegas said that, unlike in previous decades, no violent incidents have been reported.